What goes on in the mind of another? We can see actions, hear words — but one’s thoughts are always one’s own. 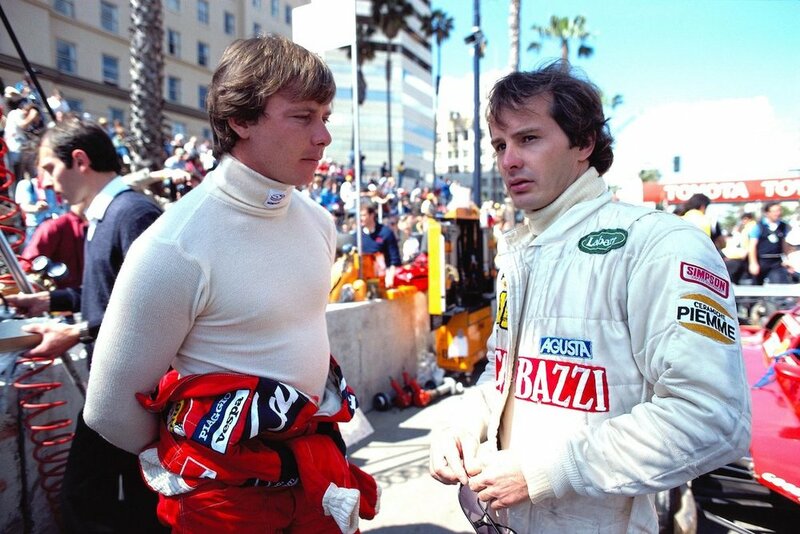 Didier Pironi’s first victory for Ferrari deemed it likely that he would be France’s first world champion, yet it ended his friendship with Gilles Villeneuve, for the victory had come in an inexplicable act of betrayal — its reasoning obscured for us — and neither Pironi or Villeneuve would ever fully fulfill their talent to become Formula 1’s world champion. Pironi always traveled to the circuit in his blue Ford Capri 2600 RS; “With this car I can satisfy my need for speed on the road, at least a bit.” On track, Pironi showed a natural kind of talent and raced lightweight single-seaters of French makes. While some labelled him as a humorless fanatic, Pironi was timid and constantly busy analyzing his driving and the mechanics of the car, aided by the knowledge from his study. In 1972, at the age of twenty, he won the Volant Elf award, enlisting him to the talent program of the French petroleum giant Elf. After Patrick Tambay, Pironi was only the second driver in the program, but over the next decade, Elf was singlehandedly responsible for the flood of French drivers who got into F1 in the ’80’s and early ’90’s, namely Alain Prost, René Arnoux, Pascal Fabre, Olivier Grouillard, Paul Belmondo, Éric Bernard, Érik Comas and Olivier Panis. Meanwhile in Formula 1, Pironi impressed in his debut season with five scoring finishes, followed by more points and two podiums in 1979. 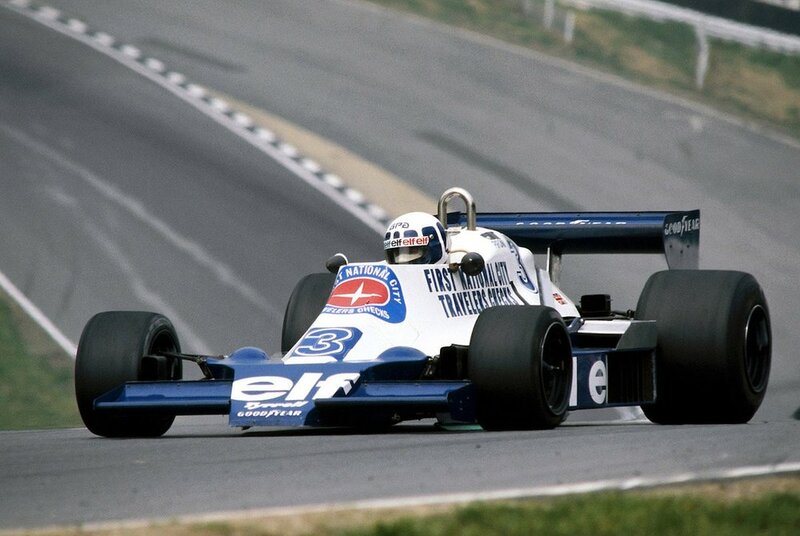 When Tyrell lost Elf’s sponsorship, Pironi was signed by Ligier in 1980, which did feature the petroleum empire’s sticker on their car. Pironi collected five podiums and impressively finished the 1980 season in fifth place. At the circuit of Zolder, which would play another big role in his career, Pironi won his first grand prix. Enzo Ferrari was impressed and approached Pironi to drive for the Scuderia in the 1981 season. 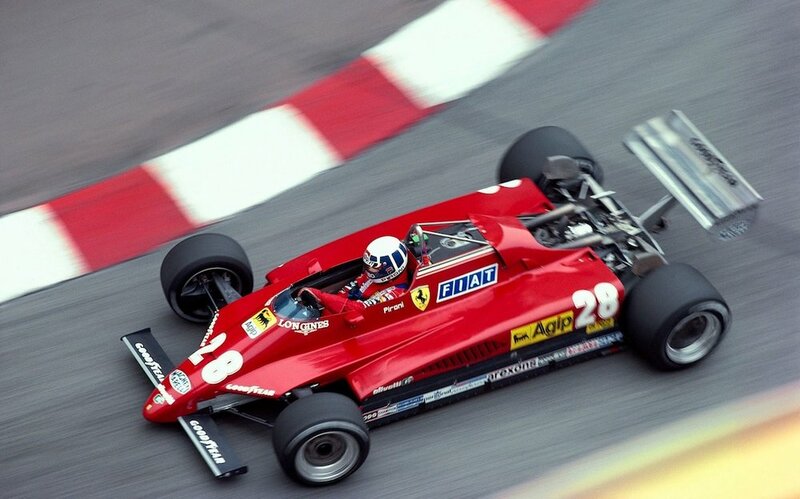 As the Maranello outfit were sponsored and fueled by Agip, it meant Pironi had to break all ties with Elf, which he did. 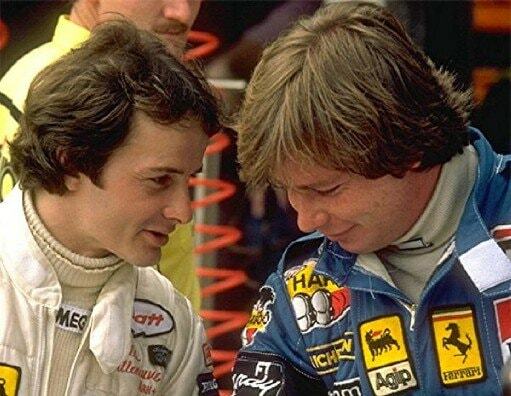 The Renault’s of Rene Arnoux and Alain Prost locked the front-row, but both retired early on in the race. 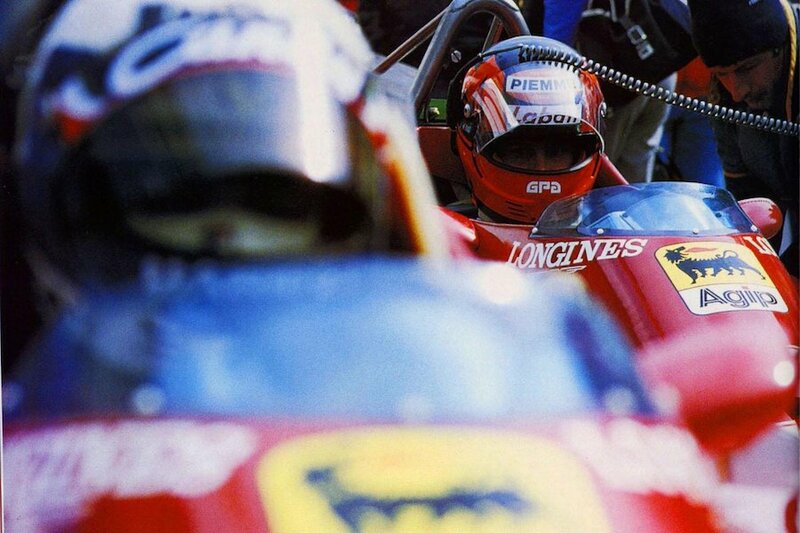 The Ferrari’s lead over Michele Alboreto in Tyrell was so big that the Scuderia, keen to finally score some good points, ordered the cars to hold position and to slow down to minimize any risks. The signs were shown at the start/finish line, and there was no mistake that both drivers had seen it. Villeneuve led Pironi and the two slowed down, but with two laps to the finish, Pironi inexplicably pulled down the inside of Villeneuve at the hairpin. With the fans and members of the team astonished by what was happening, Villeneuve fought back. The Ferraris had run conservative laps, but suddenly the pace had elevated to nearly two seconds a lap quicker. The two battled wheel to wheel, and Villeneuve started the final lap ahead, but Pironi passed him in the Tosa hairpin, and the Frenchman went on to win the race. Pironi’s first win for the Scuderia had come in the darkest of acts; he never felt needed to explain why he had disobeyed the team order, neither did the team punish Pironi for it. Villeneuve felt betrayed, and realized Joann had been right all along. 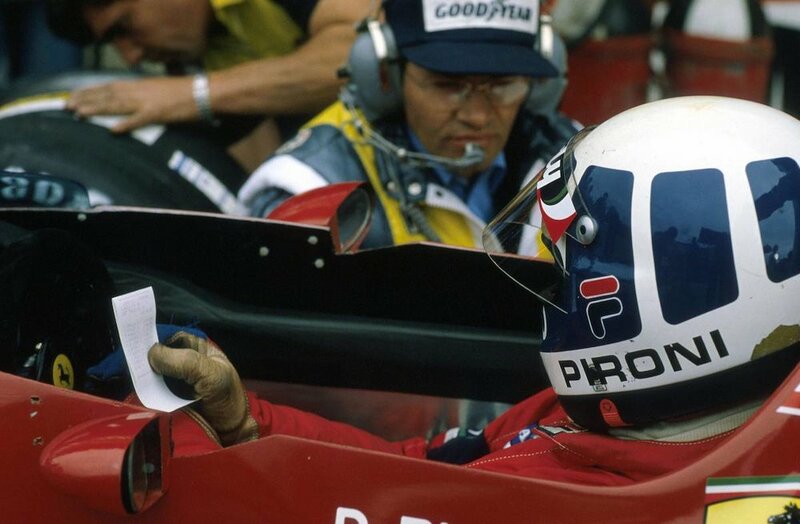 Villeneuve spend his last days tormented, realizing that Pironi was trying to take control over the team and famously saying the words that he’d never speak to Pironi again. It turned out to be prophetic just two weeks later. The session was stopped and the medics arrived. Pironi was in the pits when the accident happened and rushed to the scene, on foot. Realizing he could do nothing, he walked back with his and Villeneuve’s helmet, expressionless, but no doubt trying to fathom what had just happened. It took four years for the Frenchman to walk unaided, a time in which he received over thirty surgeries. But, in 1986, a return to racing beckoned. 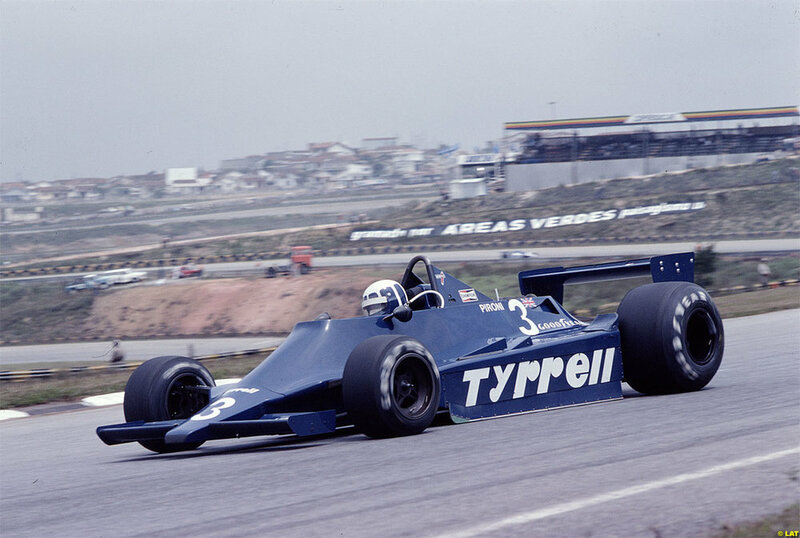 Pironi tested an AGS at Paul Ricard and proved to still have his earlier pace. He then tested for Ligier, and in the silly season ahead of 1987 there was a rumor of him joining McLaren alongside Prost, but it never happened, perhaps because Pironi would have been forced to pay back some insurance money if he returned to competitive racing again. Pironi had been tantalizingly close to becoming France’s first world champion in Formula 1, but when motorsport was no longer an option, he shifted his sights on becoming world champion in powerboats. In the years before his accident he was already involved in applying Formula 1 technology and the knowledge of his engineering study into powerboats with constructor Abbate, who powered their carbon powerboats with Lamborghini engines. The next race, only two weeks later, was in England near the Isle of Wight. Pironi had flirted with danger so many times before, but this is where fate awaited; the Colibri was running in second place when it hit approached a wave caused by a nearby oil tanker ship. The Colibri hadn’t lift the throttle the slightest, hit the wave, flipped and crashed into the sea, traveling from 170kph to an abrupt standstill. 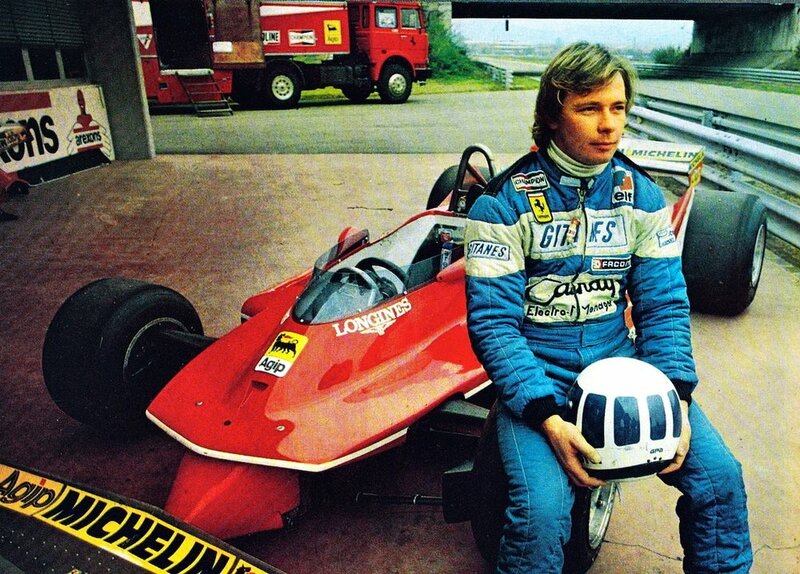 At the time of Didier’s death, Pironi’s girlfriend was pregnant. She gave birth to twins, who, in honor of the two friends, she named Didier and Gilles.